The Hotel International Zanzibar has changed its name and is called "Swahili House", it was fully and completely renovated, an additional floor was added where the bar, restaurant and jacuzzi, all with superb views over the rooftops and the Sea of ​​Stone Town. The service is excellent, staff very friendly, the management has changed recently and a lot of trouble for our customers, we feel very pampered. Only problem, there is no elevator, but up 4 floors to reach the top is worth it. 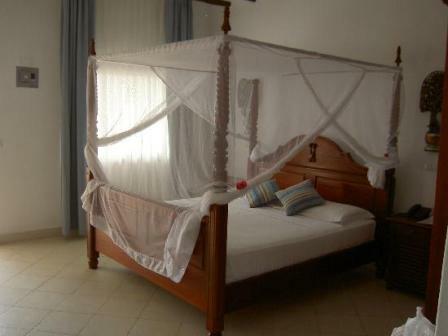 The rooms are beautiful, large, indoor-suite bathroom very modern for materials and for very oriental style. Only problem in Zanzibar: no electricity, and generators neighbors worked all night. Those of the hotel was quiet, but the neighbors ... Once the problem of electricity on the island resolved, it should not be any noise. The location is ideal for the scenery, the center of Stone Town, not far nor the general market, or the Anglican cathedral, but in Stone Town, you're never far from anywhere except from.